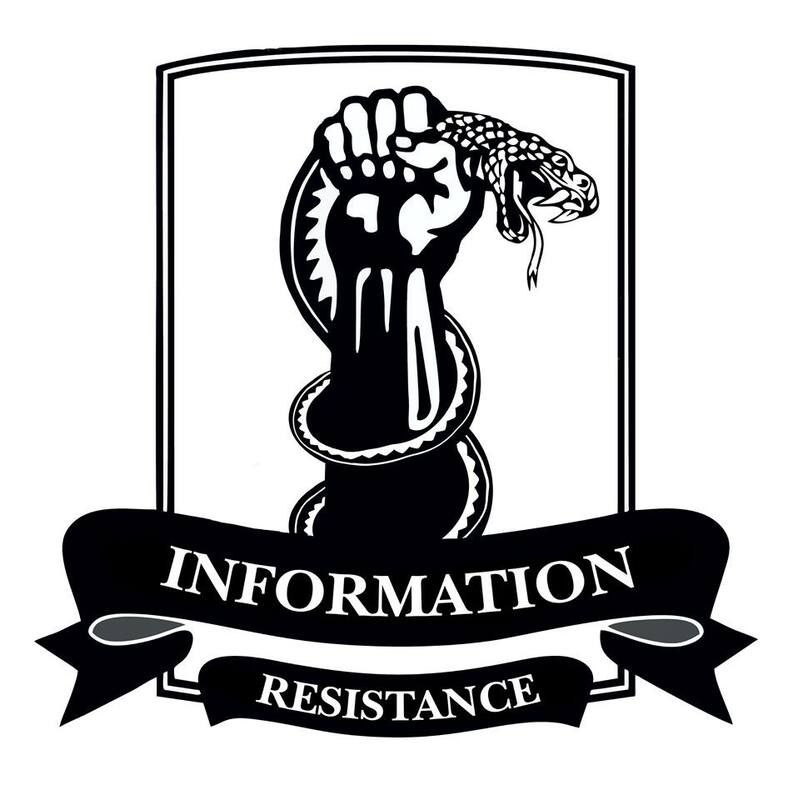 Russian-terrorist troops in Donbas continue to actively shell the positions of Ukrainian troops using 122-mm and 152-mm cannon artillery and quick reaction (MLRS) artillery in addition to infantry weapons. In the seaside direction in the vicinity and to the north of Shyrokyne, insurgents have used 120-mm and 82-mm mortars (including mobile mortars mounted on UAZ-469 and GAZ-66). 152-mm artillery has been used (a 6 inch-mortar battery shelled the Ukrainian positions) as well. Over the past 24 hours, after 122-mm D-30 howitzers shelled Ukrainian positions in the vicinity of Opytne, Vodyane, and south of Avdiivka three times, two armored terrorist groups advanced towards the front’s edge (1-2 tanks and 3-4 ACVs in each) and used adjusted fire on the advanced positions of Ukrainian troops. After ATO forces opened return fire, [the terrorist] armored group retreated to Spartak under cover of mortar and AGS-17 fire. North of Avdiivka (in the vicinity of Leninske and Novhorodske), insurgents have repeatedly fired from 120-mm and 82-mm mortars, AGS-17, also inflicting several shellings from 122-mm artillery. Gangs centered in the area of ​​Stakhanov – Irmino – Kirovsk – Frunze have methodically fired at the positions of Ukrainian troops during the past 24 hours in the Popasna stretch (including Zolote). 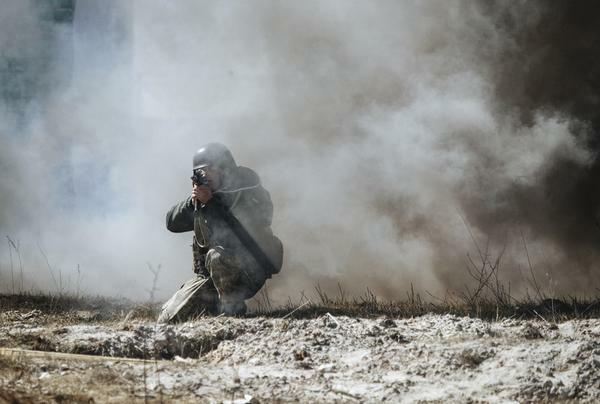 Insurgents have used their old tactic – infantry groups entered the “neutral zone” with firing raids from 120-mm and 82-mm mortars; in addition, attempted joint operations of armored vehicles and ZU-23-2 have been observed. Near Luhanske, Rozsadky, and Myronivsky, besides the “traditional” daily shellings from mortars and nightly shellings from armored vehicles ([the terrorists] use previously equipped positions for the tanks that go to these positions at night, and open adjusted fire — usually 5-6 rounds — at targets reconnoitered in advance), insurgents made a number of attempts to arrange ambushes at the forefront, including sniper traps, for sudden close-range attacks on the positions of Ukrainian troops. Gang activity has been observed in the vicinity of ​​Sokolniki — Krymske — Novotoshkivka, where insurgents used AGS-17 automatic grenade launchers and heavy machine guns to fire at the positions of ATO forces. Fire strikes have also been carried out on the positions of ATO forces in the vicinity of Trokhizbenka. The town itself and the positions of Ukrainian troops in the area have been shelled by 152-mm artillery (a 3-missile battery of SAU 2S3 “Acacia,” which was earlier observed by the IR group near Oleksandrivsk and which was then transferred to the vicinity of ​​Slovianoserbsk using the Bakhmut highway) several times. During the shelling of Novotoshkivka, and the positions of Ukrainian troops located in the area, with an MLRS “Grad,” attempts by two terrorist sabotage and reconnaissance groups to infiltrate the deep tactical rear of the ATO forces in order to bypass strongholds and checkpoints (at the intersection of the strongholds) have been recorded. Both groups were stopped by dense machine-gun fire and retreated towards Zholobok. Near Shchastya (from the direction of Vesela Hora), insurgents opened fire from an AGS-17 at maximum [effective] range. • At Krasnodon station, on the Luhansk branch of the Donetsk railway (including the Luhansk freight directorate), a turnover of not less than 45 large-size platforms has been observed in a period of 10 days. At the Ilovaisk station, at least 58 platforms with military equipment for insurgents have been recorded. During the last 24 hours, about 68 vehicles have been observed on the roads and in communications on occupied territory (an increase in transportations by illegal armed groups has been recorded primarily towards the south, along the “southern route” through Amvrosiivka and Ilovaisk, north of Luhansk, on Bakhmut highway towards Lutuhyne and Krasnodon). • In the vicinity of Starobesheve, the transfer [of insurgent manpower and equipment] up to a motorized infantry battalion in size (up to 400 people, with 8 tanks and 30 ACVs) was recorded. • In the vicinity of ​​ Mospyne, 18-20 tanks and 25-30 AFVs have been observed; some of them – dug in and camouflaged, and some – in marching convoys, as well as a battery of 122-mm MLRS “Grad” on the march north of Mospyne. • The maneuvering of 14 terrorist tanks at the forefront in Donetsk (Kyivskyi and Kirovskyi districts) has been recorded. • The transfer of a battery of D-30 howitzers has been observed in the vicinity of Bryanka (which earlier had “disappeared” from Luhansk). • Four 152-mm 2S3 “Acacia” self-propelled guns have been moved through Alchevsk and Stakhanov via the Bakhmut highway. • A maneuver by insurgent artillery units has been observed north of Novoazovsk – three 122-mm 2S1 “Carnation” self-propelled guns changed their positions and were later reported west of Khomutovskyi steppe.